Great Smokies Health Foundation, a not for profit 501(c)(3) was created in August, 2014 as the Legacy organization to WestCare Health System (Harris Regional Hospital & Swain County Hospital) with proceeds from their sale to Duke LifePoint a for profit entity. The mission of the Great Smokies Health Foundation is to improve healthcare in Jackson, Swain, Graham and Macon counties in North Carolina and in surrounding communities. The Foundation is governed by a local board with representatives from the communities being served. 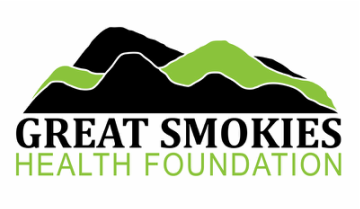 ​Great Smokies Health Foundation supports programs, projects and initiatives focused on health, wellness and prevention. To receive funding you must be a non-profit 501(c)3, County or Governmental Agency. We are currently working with our community healthcare providers and agencies to identify areas for future funding. Swain County Thrift Shop offers a great variety and excellent prices on gently used items. ﻿The Great Smokies Health Foundation Gift Shop is conveniently located inside Harris Regional Hospital and offers a variety of gift options.